Microsoft Office 2016 was recently launched on 22nd of September. Currently being used by more than 1 billion people worldwide, MS Office is not the only product of Microsoft. Instead, it is the highest revenue generating source for the company. Being a dominant leader since last many years, it launches an update after every three years. With the passage of time, the competition for Office increase as the tech giant, Google presented Google Drive for the customers. Not only Google Drive, many other similar functionality platforms like OpenOffice and LibreOffice have generated a good competitive era for MS Office. So, to retain the top position, Microsoft released this updated version of Office. But what’s new in this updated software? 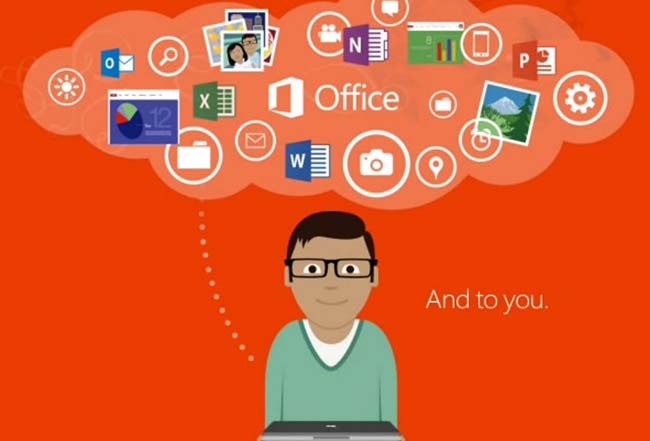 1- Co-Authoring: How will you feel, if you and your team member is allowed to work on a single MS Office tool at a time? Yes, you heard it right. It is the best of all features, added to the updated Office suite. Microsoft announced that with this feature, more than one user can use a single work space simultaneously. With a teal-time view, all the users can check the ongoing updates in the file. 2- Tell Me: The time of old styled assistant (comes in form of a clip with eyes) is gone. To cope-up with the race of technology, Microsoft also replaced the old assistant with a new one. This assistant allow you to write in your human language and revert you with best possible results. 3- Smart Lookup: This time, Microsoft has tried to offer more than what it can, within its product. In Word, PowerPoint, Excel, and Outlook, users are given a Bing-powered Smart Lookup feature. With this feature its now possible to get more details of any word right aside of your work space. As you select a word, its details will pop out on the right, including Wikipedia information. 4- New Office Themes: Are you getting bored by using the same theme of MS Office all the time. The answer to your problem is now sorted out. Microsoft has availed Dark Gray theme, Colorful theme, White theme. 5- Office Sway: To enrich the Office suite with numerous features, Microsoft added a feature of Office Sway which gives the option to allot impressive design to the presentation. Along with the development of stylish presentations, it also furnished the suite with the feature to embed it within any website. 6- Improved History Rollback: With improvements from every aspect, in the upgraded Office suite, now its easy to rollback to previous history. This feature will be highly useful while working on a document collaboratively. 7- Mail Prioritization: Earlier, MS Outlook was just a platform to store your incoming mails. But with this update, this email management tool is given partial intelligence (Clutter Feature). In this version, the outlook will learn, how you handle your mails. It will also understand the emails you find useless. After that it will help you to manage your mails according to their priority. This feature is somewhat like Gmail, which tracks the user response for spam mails. 8- One-Click Sharing: Just like G-drive, where you can share your document with more than one user, MS Office bundle is too enriched with one similar functionality. In this update, the users are given a share button on the ribbon at the top, which allows them to share their Word, PowerPoint, and Excel document with any other. With this, they can also access which of them is currently working on that document. 9- Improved OneDrive and Skype Integration: With OneDrive, its now possible for you to open a document on any supportive device. You can even put the document at hold and can later get back to it whenever you need. Skype is also integrated with Office 2016. With this, you can interact with your colleagues without leaving your workspace. 10- Windows 10 Supportive Features: With the launch of Windows 10 alongside of Office 2016, many features are offered which works great with the new OS. Windows Hello, the biometric feature added in Win 10 to unlock the OS also works with Office suite. Cortana is also supportive in MS Office, which enables to perform few handy tasks. In the final verdict, Microsoft has finally made its Office bundle fully capable to give best in class features to its users. It is also ready to compete with G-drive, which offers the similar features over the cloud.